Pinay WAHM: Dried Fish 'chips'? 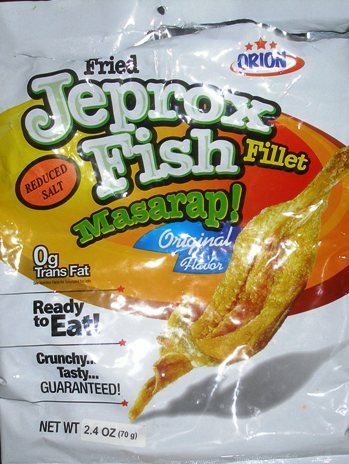 When we went to the Philippine Store last weekend I was surprised when the husband picked a bag of this 'Fried Jeprox Fish Fillet'. I was even more suprised when he said we're buying it. So we did!